Hotel Kabuki is a stylish hotel with a blend of Western and Eastern influences, serene atmosphere and sleek accommodations. 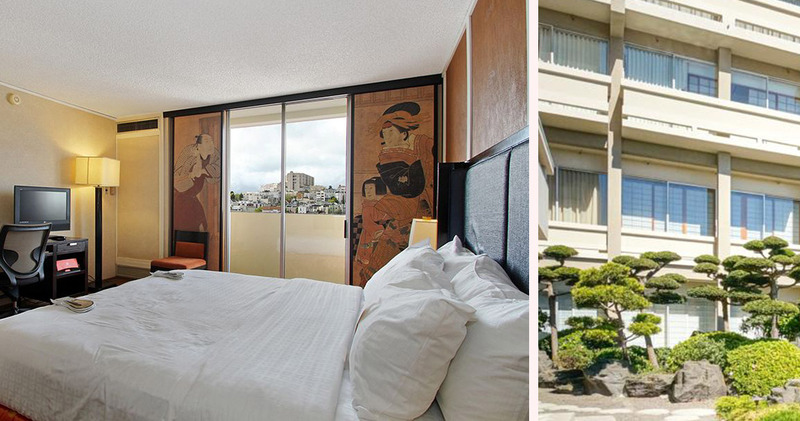 Hotel Kabuki is located in Japantown, close to attractions like the Fillmore Auditorium and SF Jazz Center. 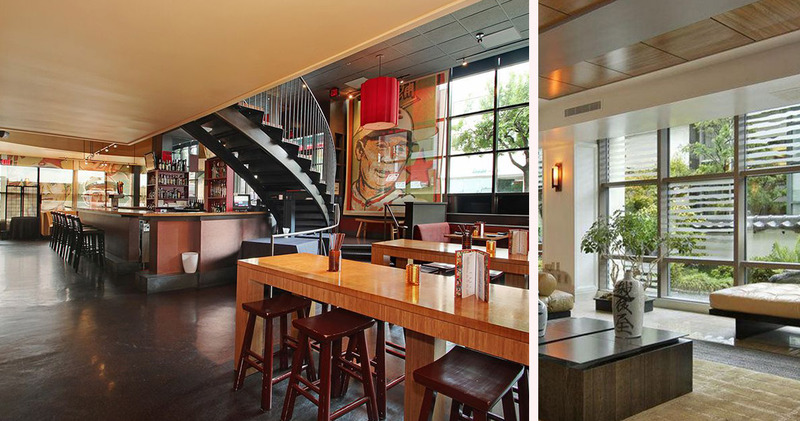 This stylish hotel is serene, contemporary and features a blend of Western and Eastern decor. 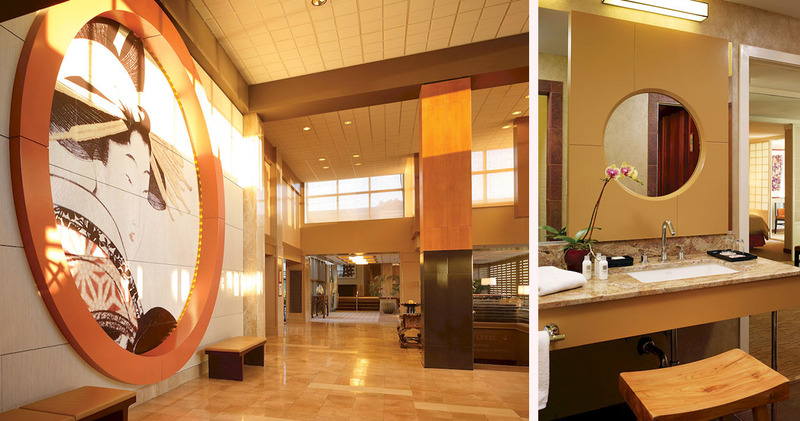 The lobby of the hotel is subdued and elegant with Japanese artwork and decor pieces, light and dark hardwood finishes and a soothing color palette. Large windows and indoor plants provide the lobby a fresh, open feel. 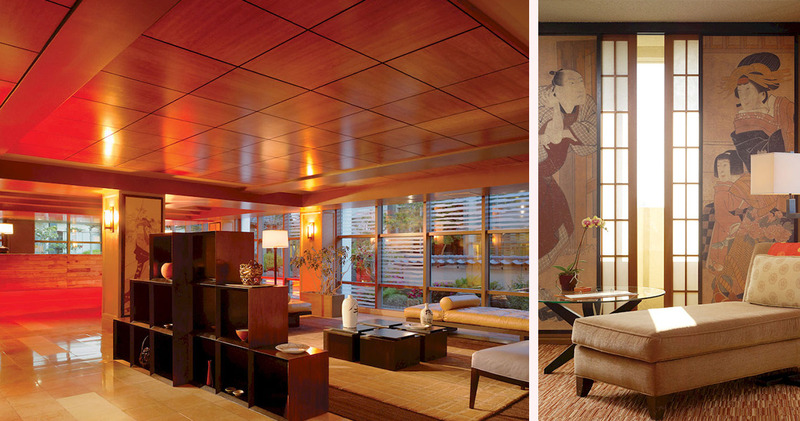 Kabuki Hotel San Francisco has a beautiful koi pond and Japanese style garden that is perfect to relax and unwind. 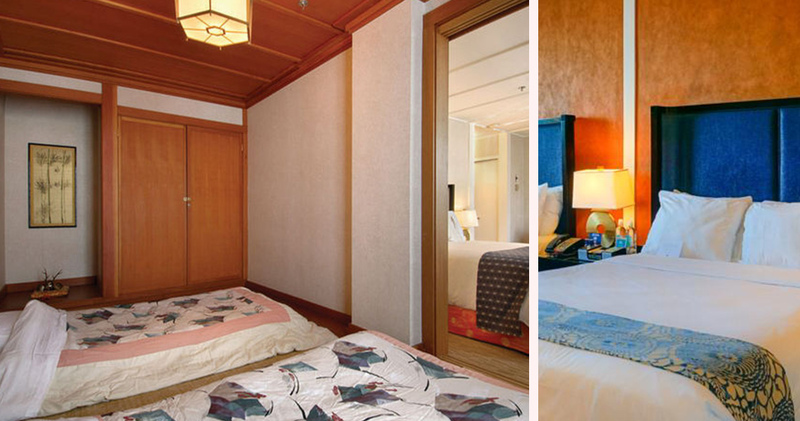 The guestrooms at Hotel Kabuki are serene and refined with Japanese sensibilities. 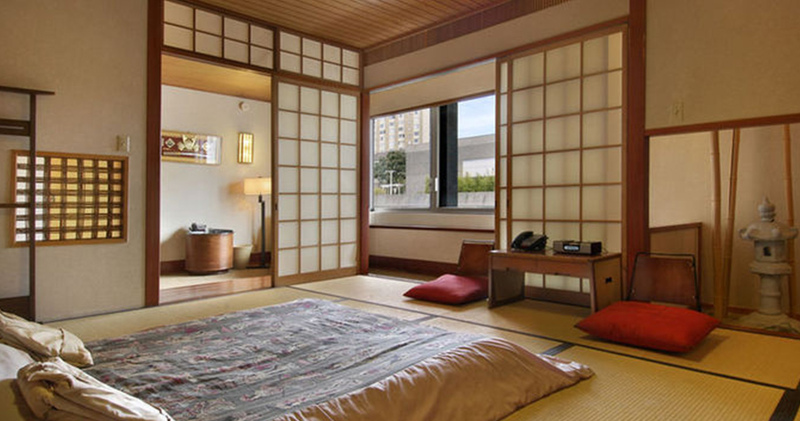 The decor includes several contemporary Japanese elements such as Japanese style tubs and sliding shoji screens. Dark hardwood furniture along with warm shades of orange create a refined look. 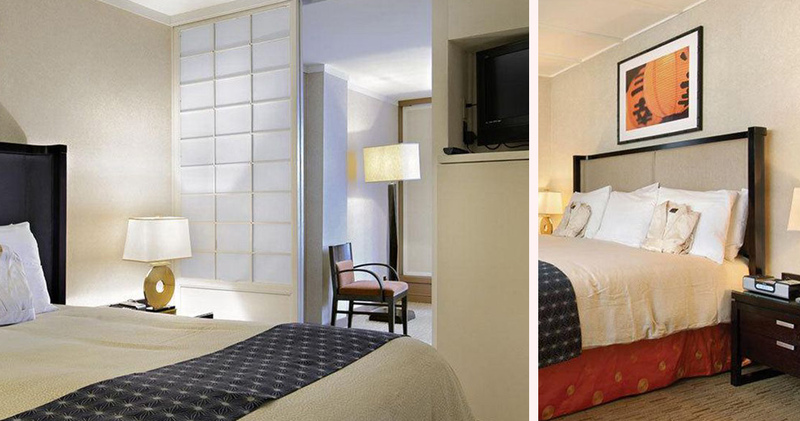 The beds are comfortable and inviting with luxury linens and Serta Concierge mattress. Rooms also include a spacious work desk, ergonomic chair and Japanese artwork. The Japanese-style bathrooms at Kabuki San Francisco are open, airy and contemporary. Bathrooms feature deep soaking marble tubs, a warm color palette and custom bath salts and amenities. A breakfast buffet is served in the lobby of Hotel Kabuki. 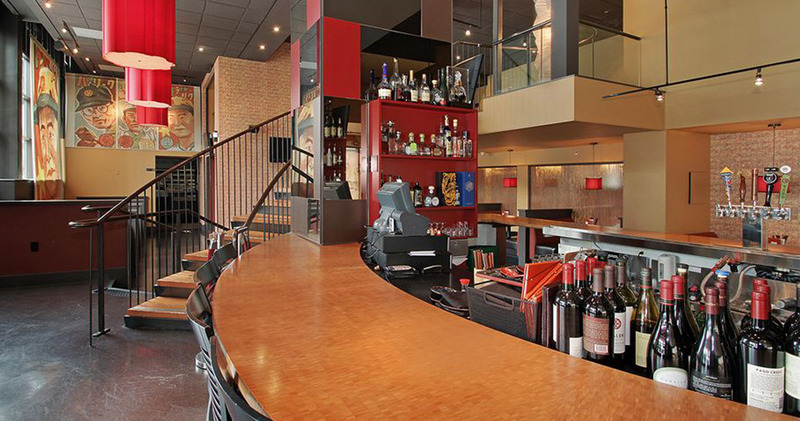 The hotel is also located steps away from restaurants serving a wide range of cuisines. Kiss Seafood restaurant specializes in traditional sushi while SPQR Restaurant is known for Italian Fine Dining. San Francisco's Japantown is an intriguing neighborhood full of cultural attractions, unique shopping and fun entertainment. This small area of the city is known for its excellent quality Japanese restaurants, karaoke bars and sake bomb cocktails. Visitors will find some really unique shopping options including bonsai trees, kimonos and even Japanese swords at the Japan Center Malls. For a unique dining experience, head to Isobune Shushi for its sushi boats. The neighborhood also has several karaoke bars including Festa and Playground. 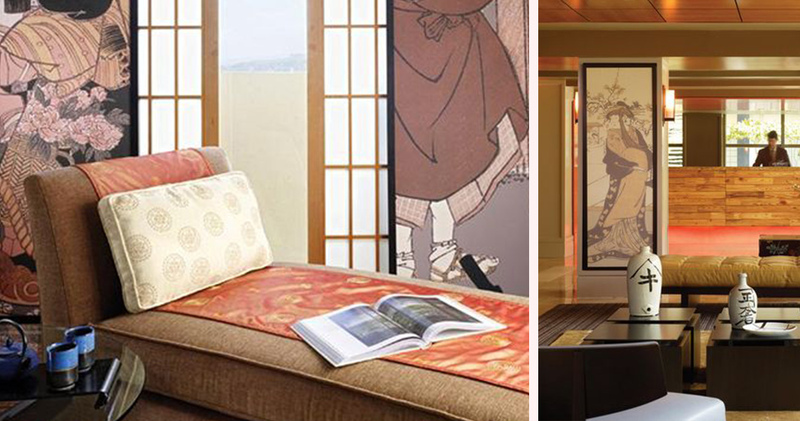 For Japanese-style relaxation, head to the Kabuki Spa and Springs. Visitors will find a number of popular attractions in Japantown such as the Origami Fountains and Peace Plaza.